This year has been fun, although we are ready to step back in time. Fashion trends often embody pieces from the past. The growth and evolutions of fashion are rich with history - as are the towns cities and countries where it was born. Although the buyer’s and designer’s behind the brands aren’t the only ones diving into archives for their next statement piece. The Queen of Hoxton in Shoreditch is taking a step back in time to the 1900s, and a step south to a surrealist, Paris. The heat definitely isn’t sticking around for Winter, and neither are the sun chasing rooftop enthusiasts. 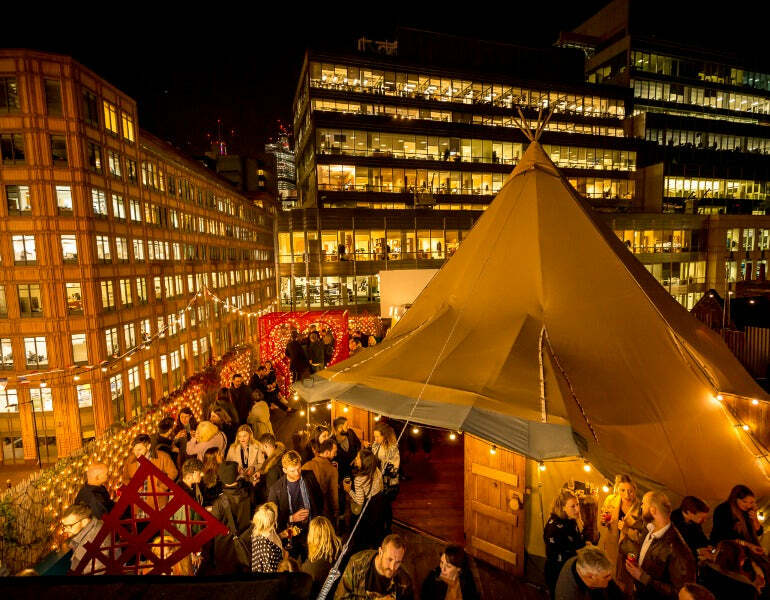 Although, the starlit drinks will not be put on hold with the Shoreditch’s Queen of Hoxton’s latest transformation. The Queen of Hoxton has been converted into a hidden rooftop amongst the back-ally Bohemia of Montmartre. The Queen of Hoxton is set to warm your heart and soul this winter as it serves as a complete gateway into history and a perfect date night. You can meander through the romantic lights and warming fire pits in the rooftop garden to discover the local Absinthe bar or let the velvet drapes serve as a luxurious backdrop as you nurture your Parisian inspired Hot Chocolate. Feast on cheese and wine from the little Paris kitchen, where Raclette covered delights will be served up. From “The Moulin Ooze” - a Mustard Washed Toasted Sandwich With Gruyere Cheese, Raclette, Lady Marmalade Onions & Dijon Mustard, to a “Henri Toulouse Burger” - Beef Patty Charred Toulouse Sausage covered with Gruyere Cheese in honour of the French artist. Allowing a complete time warp, Queen of Hoxton is also hosting a series of immersive events all of which will have an excess of Lady Celeste’s and endless Hot Tarte Tatin Rum. Test your luck with Drag Bingo or tap into the subconscious in a surrealist life drawing class. Whether you are wanting to immerse yourself into the historic Parisian culture or warm up with a buttered Rum, Queen of Hoxton is the place to be this Winter - it stole our hearts (and liver) in Summer and can definitely keep them for this Parisian escape.